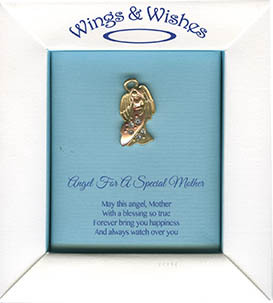 Angel for a Special Mom. 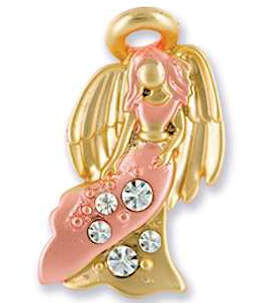 Special Mom angel pin with halo and wings gold, pink with rhinestone accent. 1 inch tall. Nice gift box with sentiments of mom. Mother's Day pin, wife or anytime. May this angel always watch over you. Got my mom the angel pin for Christmas and she loved it. Very good service and came on time.